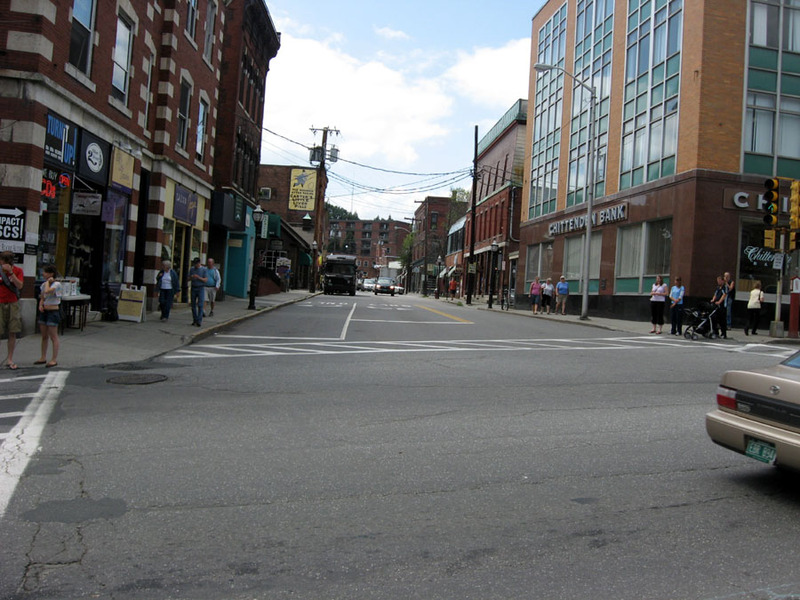 Brattleboro is a real cool small town where I felt at home right away. 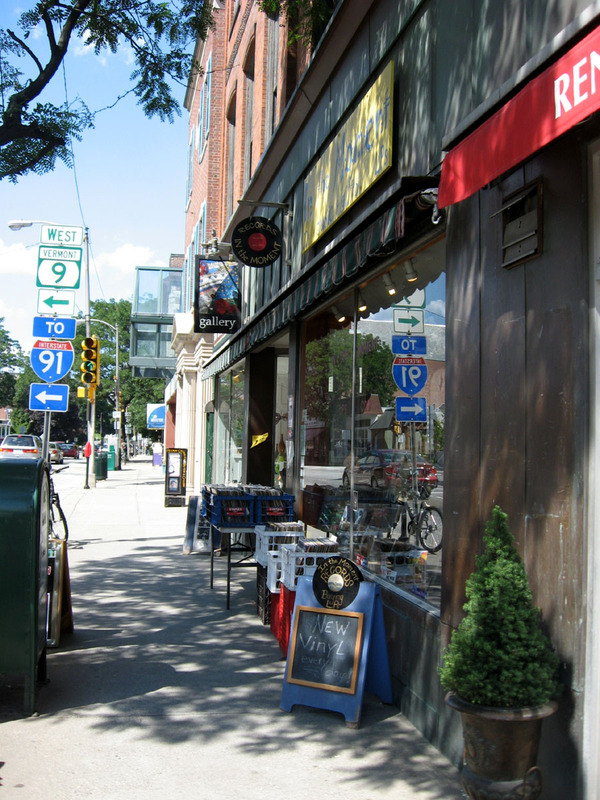 Its two main streets have nice cafés, thrift-shops, book-stores, a art-supply store and two really cool record-stores. Lisa and Chris produce Bingo Granola, great tasting organic granola that they sell at the Brattleboro Farmers Market. 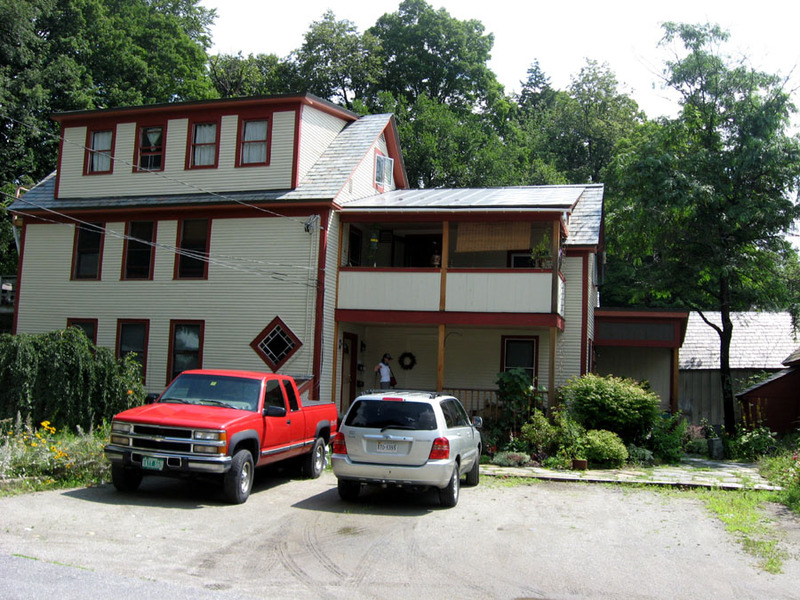 We spent almost 2 weeks in Brattleboro and really enjoyed our stay. 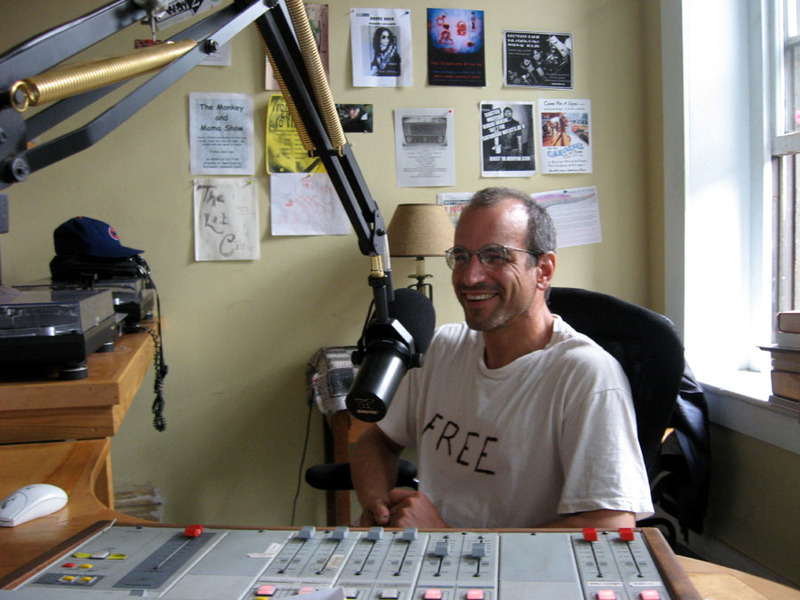 Chris was one of the founders of WVEW 107.7, Brattleboro community radio and does a Thursday morning show, the Moose Haas show together with John Singer. John also plays in the Zip Code Rapists. On August 6, 2009 I was invited to be the guest on the show. From 8 to 9:30 am I played some of my favourite records that I have posted here over the past 2 years. The show was a lot of fun and Chris recorded the whole thing so I hope I will be able to post the show here in the future. Thanks a lot Chris! I bought a whole bunch of LP´s for 25 Cents each at Experienced Goods, a thrift-store that serves as a fund-raiser for the Brattleboro Hospice, and a lot of 45´s at Turn It Up Records, mostly between 50 cents or a dollar. I finally found a copy of the MAD “Twists” Rock´n´Roll LP there. But my favourite store was In The Moment Records. I bought a whole lot of fine Rock´n´Roll 45´s there and also some weird stuff that I will probably post in the future. This one I´ll post right away because it is a advertisement record, a Twist record and it even came with a sleeve. Just the kind I like the best! I can’t believe it that you were actually in my radio booth! 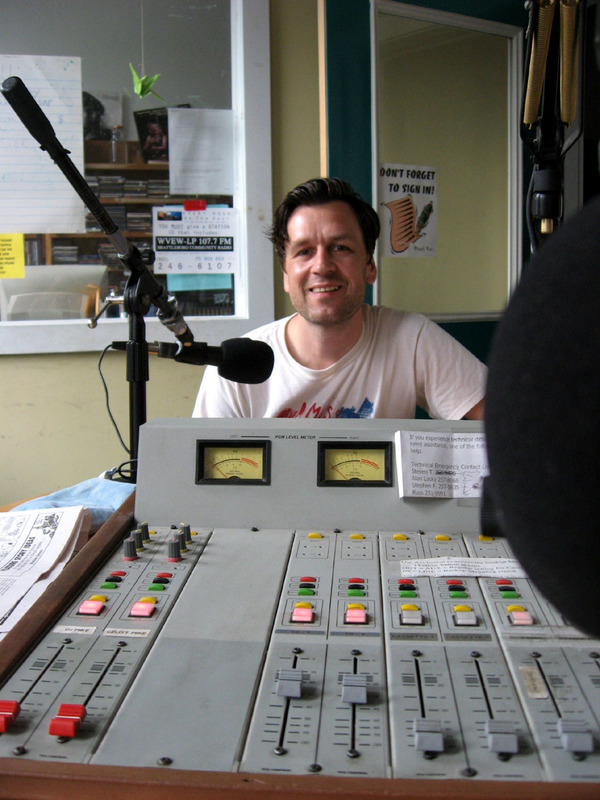 Now you must tune in from our website: http://www.wvew.org to hear my show on Wednesday nights, 8 PM EST (2 AM Berlin time?). The show is “Peel Slowly & See”. This week 260809 I am featuring the song “Malagueña”. Usually I play old rock ‘n roll, obscurities, exotica, lots of instrumentals. I am sorry that I didn’t run into you while you were visiting my town. Too bad we didn´t meet! We seem to have a pretty similar taste in Music. I love Brattleboro! You´re really fortunate to live in such a nice town that has it all: hot summers, cold winters, record stores, mocca joes, teenage gangsters and granola. Thanks for your earlier comment on ORLIE AND THE SAINTS “Detroit Twist and Freeze Twist”. I grew up in Hamburg and if asked: Stones or Beatles, I would always say: Beatles! They were real Rockers in Hamburg. We will return to Brattleboro, hopefully next year. First I´ll listen to your show tonight. 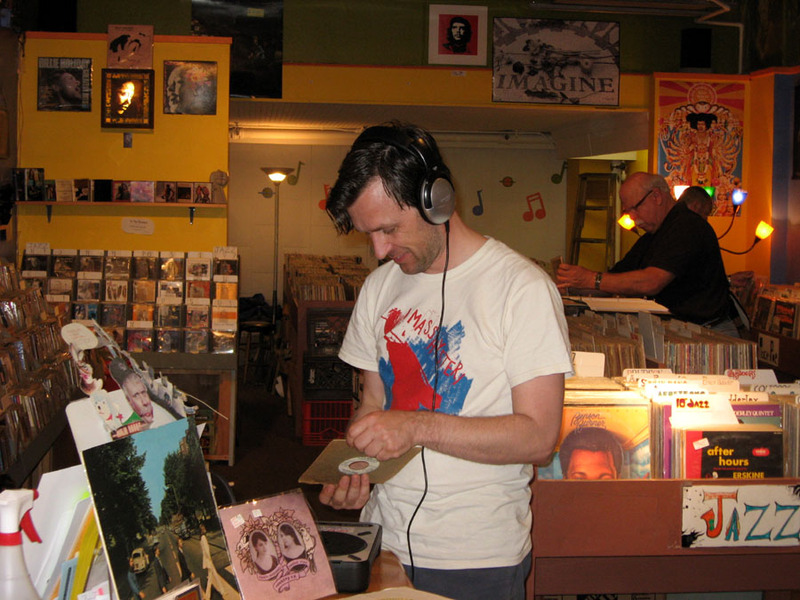 i bought one of my favorite records of all times in this shop! Brattleboro does seems to be BRIMMING with potential. Thanks for letting us see it through your fresh perspective. Come back soon!